From what I have read in some of my friends' blogs, this time of year must be "slow time" for bloggers. Between vacations and county fairs, we all seem to have tons of pictures to share but little time/energy to pull it all together. Between laundry, weeding the garden, maintaining the landscaping project, and freezing corn, I feel like I have not jumped off the roller coaster! 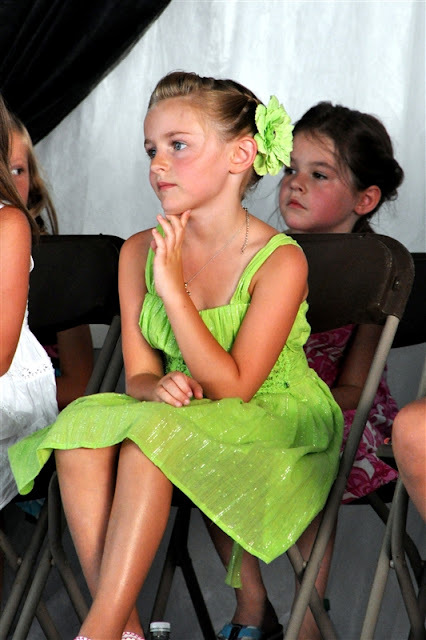 I think I will just tag on to Wednesday's coattails and do a wordless post featuring our girls at the fair. Little Bear made us so proud at the Little Miss pageant. 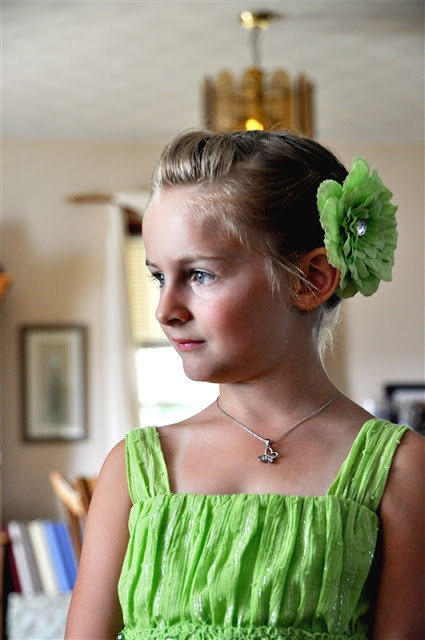 No crown, but she was our princess that night. Tink went in to the show ring for the first time with a milking short horn dairy calf and an awesome mentor in Miss Harley. They did a great job. Yes, I have better show boots on order, but they didn't come in. Yes, I ordered them big so she could wear them this winter and next year when she shows for real. I promise to have some yummy Gooseberry Patch recipes for you by the weekend. Very pretty girls! 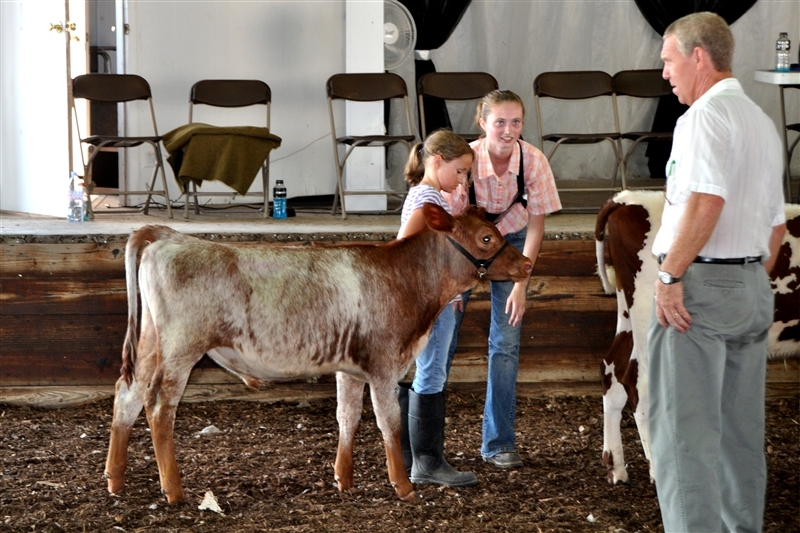 I love the 4H part of the fair. We'll be visiting the agriculture buildings and will start with breakfast at the grange. Hope it cools off some! What beautiful girls you have! Lovely green dress. 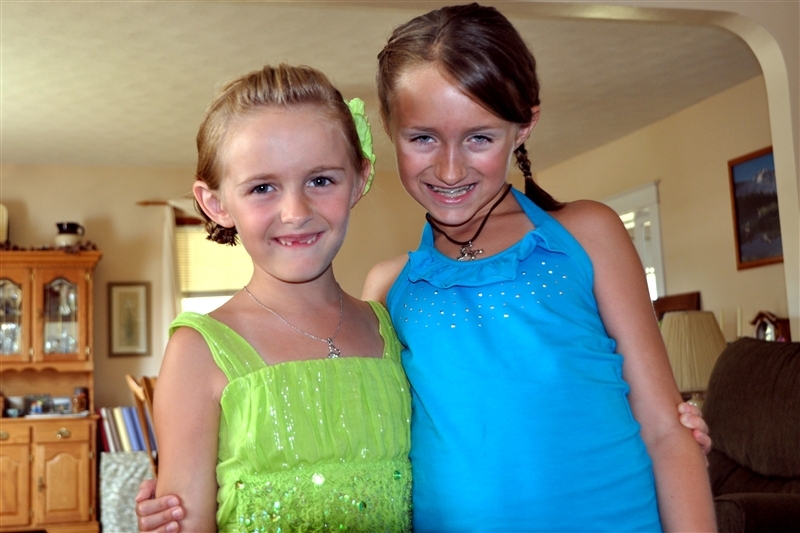 The green dress picture is darling, but my fave is the one of the two girls in their 4H t-shirts. That one is frameable! 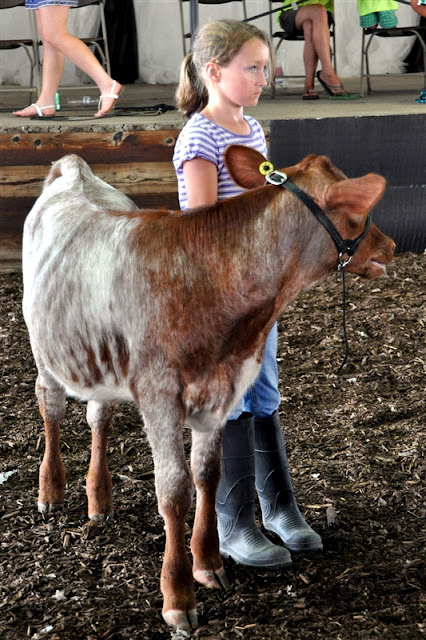 I used to love showing at the Fair... loved doing all my 4-H projects and ANY color ribbon would make me happy. Your girls look adorable.